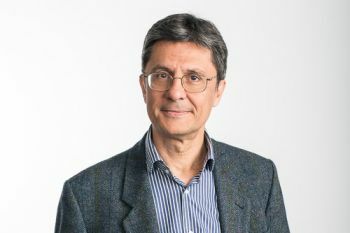 Professor of Civil Engineering, Professor Andreas Kappos, has been appointed to lead the team drafting the revised Eurocode 8 (Part 3), governing the seismic assessment and retrofitting of buildings. The research carried out by Professor Kappos (editor of the Journal of Smart Cities) covers several aspects of the design and assessment of both buildings and bridges and several of its results can be particularly useful in a codified design context. Other members of the Eurocode 8 (Part 3) team are Professor Christis Chrysostomou (Cyprus University of Technology); Professor Paolo Franchin (Sapienza University, Rome); Professor Tatjana Isakovic (University of Ljubljana); Professor Sergio Lagomarsino (University of Genoa); and Dr Telemachos Panagiotakos (DENCO, Athens). Structural Design is the selection of materials and member type, size, and configuration to safely carry loads. Structural design implies the engineering of stationary objects such as buildings and bridges, or objects that may be mobile but have a rigid shape such as ship hulls and aircraft frames. Devices with parts that are designed to move in relation to each other (linkages) are generally assigned to the area of mechanical design.